Joanne Gallinagh from Letterkenny won her dream holiday after taking part in the Rushe Fitness Summer Shape Up challenge. 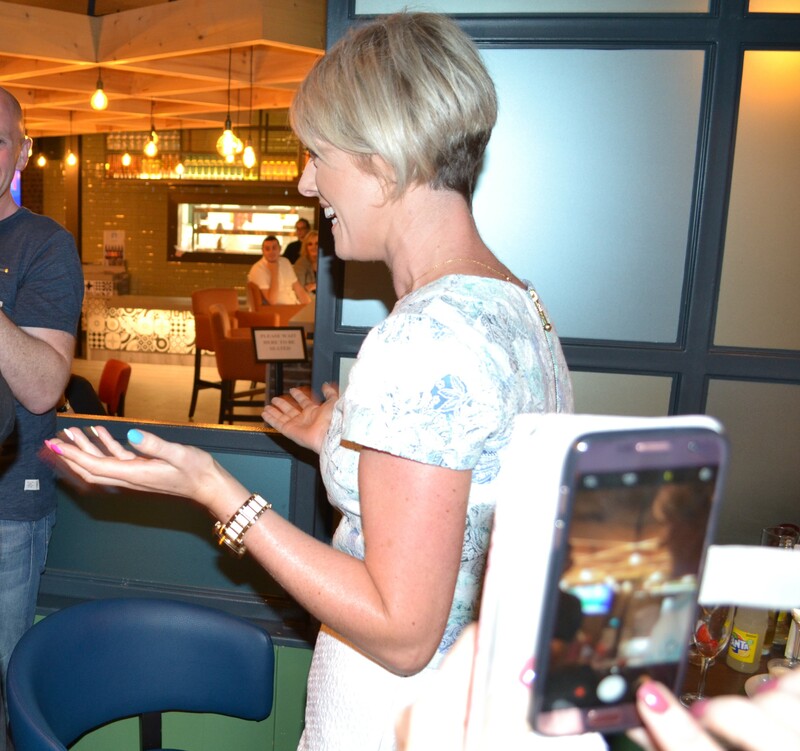 Letterkenny woman Joanne Gallinagh was just off the plane from sunny Spain when she was announced as the overall winner of the popular challenge on Saturday 26th August. 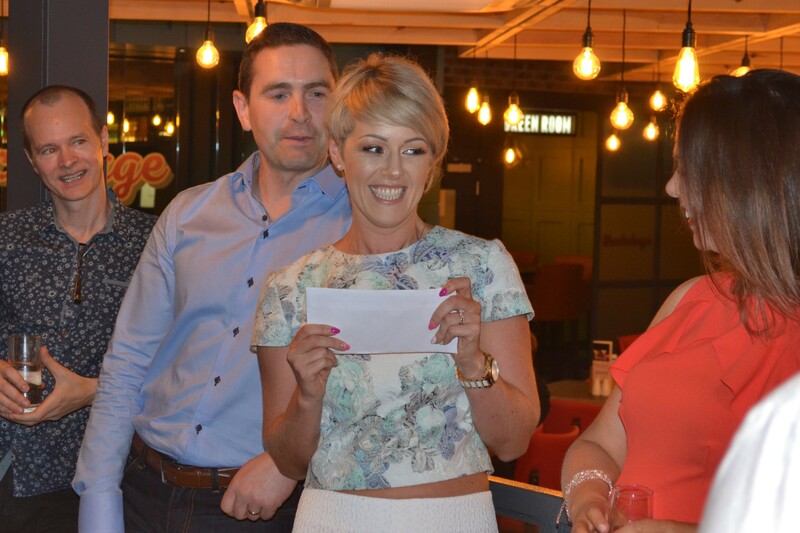 Joanne will be planning a holiday to NYC very soon after taking home the coveted €1000 voucher for Atlantic Travel. 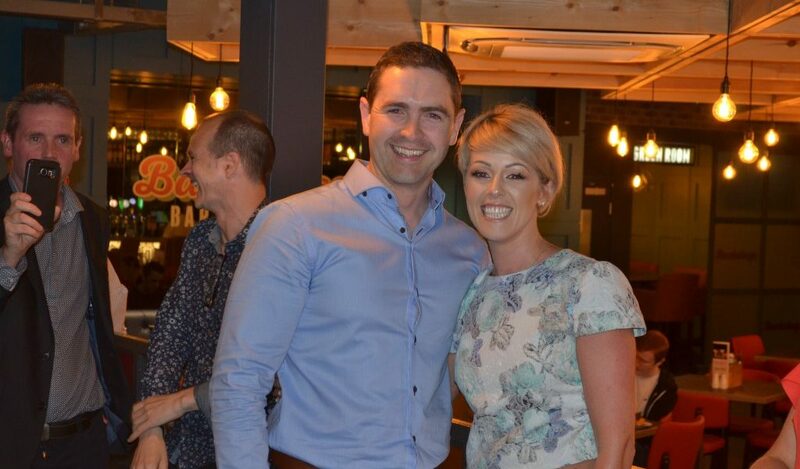 The Summer Shape Up event was a fun fitness craze with personal trainer and Donegal Woman columnist Emmet Rushe at the helm. It spanned across Donegal and the world as over 200 members of the Letterkenny gym and online community completed physical challenges, activities and achieved healthy eating goals, sharing photos and videos under the #summershapeup tag. 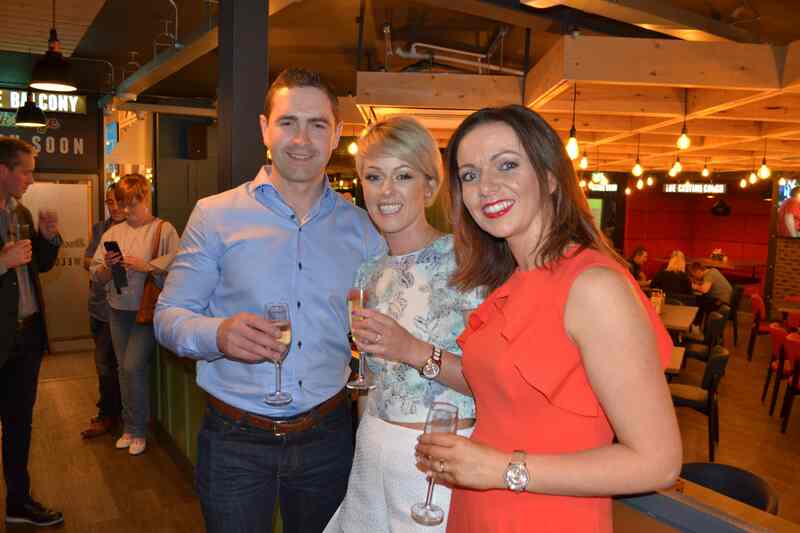 Rushe Fitness members celebrated their progress made of 8 weeks at a party at the Backstage Bar and Grill in Letterkenny’s Century Complex. They toasted to their personal accomplishments and eagerly awaited the announcement of the prizewinner. Emmet congratulated all members on their fun approach to his weekly challenges and their enthusiasm in classes. Joanne Gallinagh, who is a proud member of the 6am class crew, was stunned when Emmet called her name as the winner. Several other keen members won prizes in recognition of their commitment to the challenges. Bronwyn Walsh, Ronan Mc Bride, Martina Gillespie, Stewart McClean and Martina Mc Groarty all took home well-earned prizes. Joanne, like many of the members, got her friends and family involved in the challenges. She stayed devoted to the tasks even on holiday and consistently posted her meal photos in the Rushe Fitness members Facebook group. Joanne leads a busy life running Beaus & Belles in Babyzone Letterkenny. She is a baby massage, toddler and kids yoga instructor and a mum to toddler Noah. “From week 1 to week 8 there was such an amazing buzz in the gym… everyone was so motivated and eagerly awaited the weekly challenge. These I have to admit I loved! “Once Emmet posted what it was my mind went into overdrive thinking what part of Donegal could I go to, to do the challenge. We went on our first family sun holiday last week and I was extra good with my food choices and did water aerobics throughout the week. “Emmet and Maria certainly didn’t have an easy task choosing the winner on Saturday night, I think my face said it all when Emmet called my name out. “For me, this summer’s Shapeup has left me happy and confident inside and out,” Joanne said. For Joanne, the challenge wasn’t about losing weight, it was about staying consistently healthy and happy. Now she is looking forward to the holiday of a lifetime as she plans ahead for a trip to New York. Emmet said: “It really was so difficult choosing a winner for the challenge as every one of my members is a winner.